Colt Ford did things his way. I’m a big country music fan. My love of country music resulted in Country Music Life, which is a country music blog. I consider the site a success with over 1,000 visitors to the site each day looking for new music and country music lists. I try to stay in the know when it comes to new things happening in country music and about five years ago there was a little shakeup. Today, that shakeup still has traditionalists in the genre shaking their heads, but from an entertainment and business perspective I think it’s a great story. So I’d like to share it with you. Colt Ford is the man country fans know today. Well, most country fans have probably heard of him. He had his first top 40 hit in 2012 with Back, which featured country star Jake Owen. 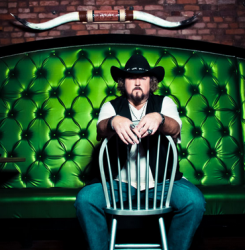 Fans might also know Colt Ford as one of the writers on the Jason Aldean song Dirt Road Anthem, which was a huge hit in 2011. If you’re wondering, Colt Ford is a stage name. I think he just took two things country fans are known to love – guns and trucks – and created a persona for himself. Real life Jason Farris got his start as an aspiring professional golfer. It turns out that this old country boy can swing a club pretty well. He only played in one or two PGA Tour sanctioned events, but he did a bit of teaching and kicked around the mini tours for years. If you watch the Golf Channel you probably know Charlie Rymer. Charlie told a story once about Jason Farris and how they both used to travel to qualifying tournaments trying to make it as pro golfers. Charlie also told the story that his buddy Jason had a crazy idea sometime around 2007-2008. Jason was traveling around and noticed that high school kids liked to kick back in the parking lot and hang out while listening to music. The music they were listening to was either rap or country. Jason figured that someone might as well combine the two and create something for specifically for those kids. That was the beginning of Average Joes Entertainment. Jason Farris became Colt Ford and he opened his own label called Average Joes Entertainment. I read an interview from a couple years ago where Colt said he didn’t like being called a country rapper. He felt he was simply making his kind of music. He was speaking words instead of singing, but he was creating catchy songs that his audience loved. Whatever you call Colt’s music you know instantly that it’s different. So different that major labels wouldn’t touch him so he was forced to go it alone with his own label. Colt started recording music and his first release was a success. Colt had hopes that radio would play his catchy songs. This was 2008-2009 and country music was in a pretty pop stage in the cyclical pattern so there was a real shot of getting radio play, but it never happened. Colt had to figure out a different way to sell records and tickets so he went online to reach his audience. He made videos and built his social media following. Audiences slowly came. Colt got more press and the thing kind of snowballed. It’s been four albums since then and collectively the reports say the albums have sold a few hundred thousand copies. But that’s not all there is to the story. Average Joes has a full roster of artists including country artists, rappers and rock acts. They have a distinct sound that is country and brash. It’s about having fun and enjoying life. If you break it down it’s really the kind of music and stories those kids in the parking lot would love to listen to. Mainstream artist Brantley Gilbert has had two number one hits. Before departing for a major label he was with Average Joes. Montgomery Gentry, one of the biggest country duos of all time. is now on the label and still having radio hits. It’s been a successful story and there are tons of lessons to pull from the story. The first one I pull out are that you can win when you’re different. There is no brand like Average Joes in country music. Colt and his team identified a need in a market and worked to fill that need. That focus and their hard work has made them a success. Second, you can build your audience and business without traditional methods. Colt and his team never get radio play, but today you don’t need radio to succeed in music. You can get millions of views on YouTube. You can build huge followings on social media. That is the audience platform. You can get discovered on those channels and it leads to selling records and tickets. You don’t need traditional business methods to build your small business. You can find new ways with the Internet to build your audience. I respect what Average Joes has done in just a few short years. They know their audience. They create a product their audience loves and they don’t really care about anything else.